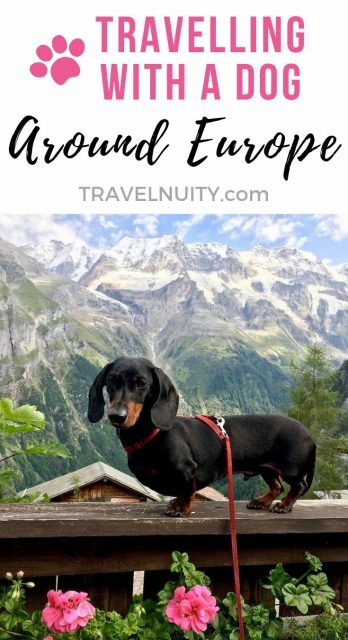 If you’re taking a holiday and would love to take your dog along, whether for a shorter vacation or long-term travels, Europe is your ideal destination. Not only is Europe about the most dog-friendly part of the world, it’s easy to travel in between many of the countries, thanks to EU regulations. 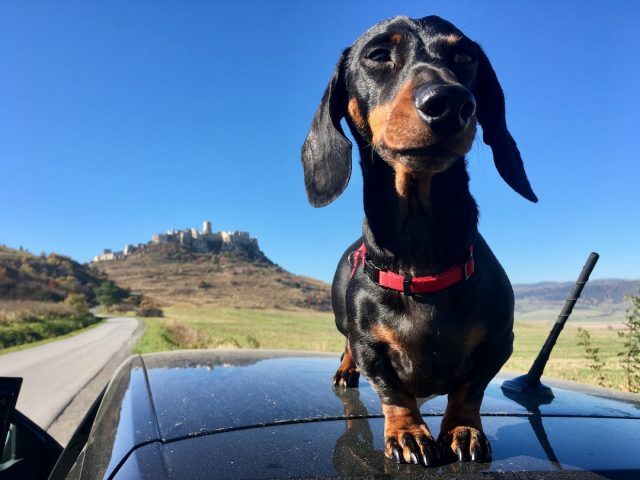 In February 2017 I flew from Australia to Spain to travel around nearly every part of Europe, along with my Miniature Dachshund, Schnitzel. Since then we’ve visited 33 countries in Europe and had plenty of dog-friendly adventures along the way. 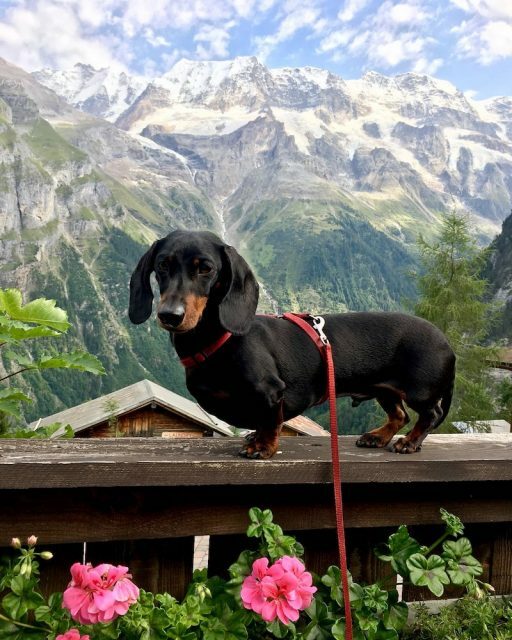 If you’re interested in also travelling in Europe with a dog, I’ve put together this guide to everything dog-related to help you along the way. Need some inspiration? 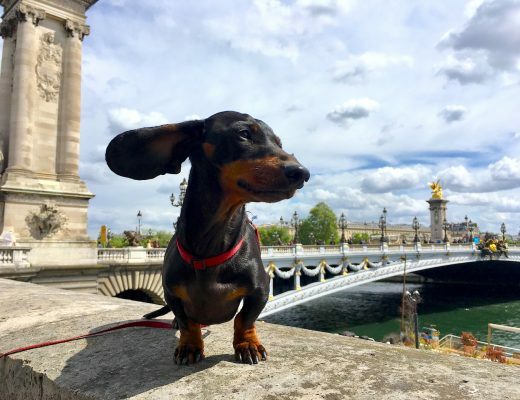 Check out these 46 photos to inspire you to travel around Europe with your dog! – Can you Catch Long-Distance Buses in Europe with a Dog? One of the best parts about travelling to Europe with a dog is that often you don’t need to fill in paperwork and visit the vet to travel between countries, unlike in other parts of the world. This is thanks to many of the countries in Europe belonging to the European Union (or EU for short) and its regulations making it easy for pets to travel around the EU and a handful of other countries. Think of it as the Schengen area equivalent for dogs! Just as you don’t need to show a passport crossing the border from the Netherlands to Belgium, the same generally applies for your dog and their passport. If you’re initially travelling to an EU country in Europe, due to EU regulations the same rules apply for dogs arriving in nearly every country, making it easier to keep on top of what you need to prepare. To check out the paperwork required when travelling to the EU with your dog, check out my straightforward guide. And once you’re in the EU, except for a handful of countries you don’t need to bother anymore with paperwork to travel between countries. Want to know whether you will be visiting an EU country or countries? Currently, there are 28 countries in Europe that are part of the EU. They are: Austria, Belgium, Bulgaria, Croatia, Cyprus, Czech Republic, Denmark, Estonia, Finland, France, Germany, Greece, Hungary, Ireland, Italy, Latvia, Lithuania, Luxembourg, Malta, Netherlands, Poland, Portugal, Romania, Slovakia, Slovenia, Spain, Sweden and the United Kingdom. Additionally, the EU counts a small number of other countries and territories as applying rules equivalent to the EU for the transportation of pets. The rules for dogs arriving in the countries are usually similar to arriving in the EU (although always double check). Plus travelling in between these countries and the EU generally doesn’t require paperwork. 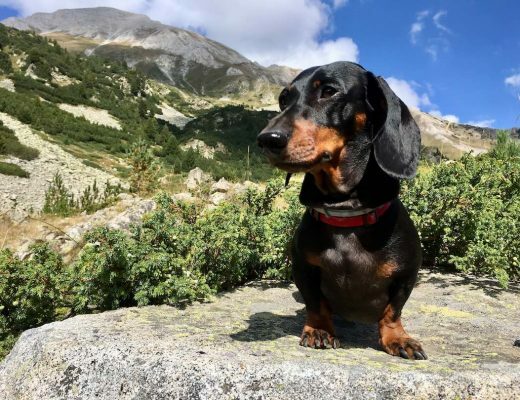 These 8 “related” countries and territories that are essentially “part of the EU” for travelling with your dog are: Andorra, Gibraltar, Liechtenstein, Monaco, Norway, San Marino, Switzerland and Vatican City State. 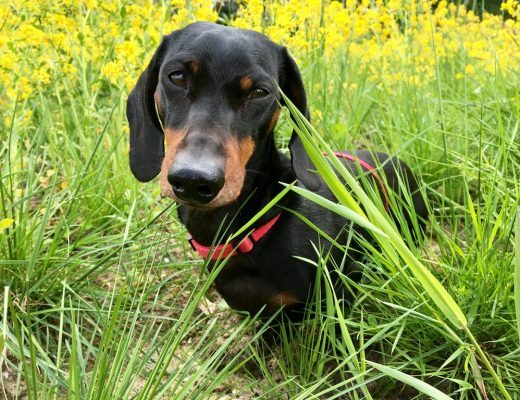 For the above 35 countries (and 1 territory), you’ll generally not need to show any paperwork or visit the vet to move between the countries (except if a worming treatment is required, see below), once you have entered into one of them with your dog, with a valid microchip and rabies vaccination. However, you should always keep a copy of their paperwork on hand (the same as your would your own passport), as it may be checked. Plus, if you’re staying in the EU longer than 4 months, you are expected to get an EU Pet Passport for your pet. This is essentially a fancy record book for your dog’s rabies vaccination and other treatments and health checks. For dogs that are living in Europe, or have been staying for awhile, make sure that the rabies vaccine stays up-to-date. Additionally, if vaccinating for the first time, or after it has lapsed, take note of the EU rule that the rabies vaccination should be given at least 21 days before you cross borders. While paperwork is often not checked, so this isn’t always enforced, this is certainly checked for travel to the UK and I’ve also heard of it preventing someone travelling with their dog from mainland France to Corsica. The main exception to this ease of movements is a handful of countries that require a worming treatment done by a vet, between 1 to 5 days before arrival. They are: Finland, Ireland, Malta, Norway and the UK. When we arrived in the UK (by ferry) and Malta (by plane), this was checked either before boarding or on arrival. However, despite when we travelled to Finland (by road and ferry, both times from Sweden), surprisingly this wasn’t checked – although always be prepared! So, this leaves the following countries in Europe (in alphabetical order): Albania, Armenia, Azerbaijan, Belarus, Bosnia and Herzegovina, FYR Macedonia, Georgia, Moldova, Montenegro, Russia, Serbia, Turkey and Ukraine. Most of these countries are in the Balkans, eastern Europe or the Caucasus region on the border with Asia. For entering these countries, you will need to look into the regulations that apply to each country. The best place to check is at PetTravel.com, but also check the relevant government website to be sure. Often similar rules for the EU apply, but not always. For instance, many of these countries do not recognise the 3 year rabies vaccination, so check your vaccination dates. To enter the EU from these countries, the same rules apply when entering from other countries around the world. In particular, the EU regulations do not exempt the following countries from the rabies antibody titration test (due to high levels of rabies): Albania, Armenia, Azerbaijan, Georgia, Moldova, Montenegro, Serbia, Turkey and Ukraine. When travelling longer distances around Europe, the two main options are catching a train or flying. My preferred option has usually been taking a train, at least for train trips that are no more than 6-7 hours, as it’s usually cheaper overall and takes you right into the city centre. Unfortunately, usually it’s not possible to take dogs on long-distance buses, but between some destinations, ferries may also be an option. Most trains in Europe allow dogs, with the main (and frustrating!) exception being the Eurostar, which runs under the English Channel between London and the continent. In general, small animals travelling in a container do not require a ticket. The only exception I have found to this so far has been in France, where a set €7 fee is charged. Otherwise, larger dogs are usually charged 50% of a 2nd class ticket, similar to a child’s ticket. Expect to be required to have your dog on a leash and wear a muzzle (or at least be prepared to put one on if requested). When travelling by train, it’s best to book your ticket in advance, except for set price tickets. Often you can get cheaper tickets if you book in advance, the sooner the better. Check out more of my tips for travelling by train in Europe. The other alternative (or sometimes the only option) is to fly. Luckily, if you are travelling with a small dog, many airlines in Europe allow small dogs to fly in the cabin. Even many budget airlines allow dogs in the cabin, as well as most flag-carriers airlines in Europe. The main exception is for flying to the UK or Ireland. Except for assistance dogs, no dogs are allowed to fly in the cabin travelling to the UK and Ireland. Unfortunately, this has also resulted in the UK-based Easyjet and Ireland-base Ryanair not allowing dogs in the cabin at all, even when flying between different regions. If flying with a larger dog, with an airline that doesn’t allow dogs in the cabin, or in and out of the UK and Ireland, it’s still usually possible to check in a dog (or transport a dog as cargo to the UK and Ireland), although some airlines still don’t allow this. Additionally, airlines usually don’t allow snub-nosed breeds and a list of dangerous breeds to be checked in. Always check the pet policy for the airline (google the name of the airline and “pet policy”). If flying with a dog, book the ticket for your dog when making an online booking (if possible), or otherwise contact the airline before booking your ticket to confirm availability and then book as soon as possible afterwards. Also check the airline’s pet policy for the specific dimensions of the carrier or crate your dog requires and any extra rules. For dogs, generally a set fee is charged per flight, and no, they’re never discounted during airline sales! 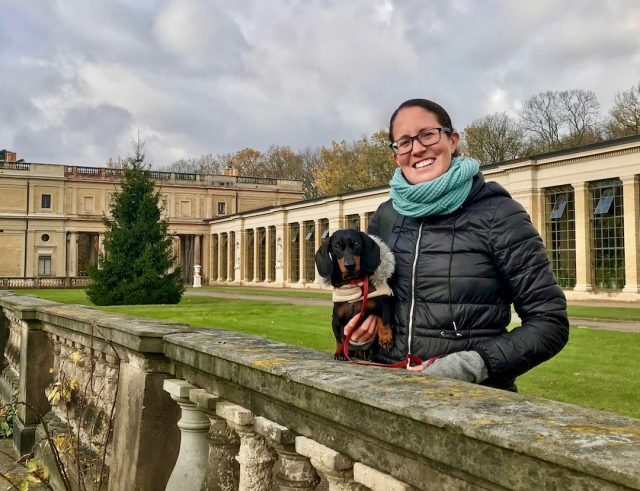 For tips on what to do at the airport, check out my guide to travelling with a dog in the cabin in Europe, plus my discussion about dog-friendly airports in Europe. Can You Catch Long-Distance Buses in Europe with a Dog? Unfortunately, taking long distance coaches is not really an option in Europe if you are travelling with a dog. I’ve checked the rules for multiple companies, especially when looking into travelling in the Balkans where there’s not many trains, and most bus companies don’t allow dogs, including Flixbus, one of the most common operators. I’ve heard that a few buses do allow dogs, but only at the discretion of the driver or only in the luggage hold (!) If you get stuck for transport in the Balkans, there are many mini-bus operations, and I’ve come across at least one that allows dogs if you book a private transport (i.e. the whole mini-bus). Just be prepared for it to be expensive, unless you’re travelling as part of a group. One final form of transport to keep in mind are long-distance ferries. These are often the easiest option to get between destinations such as France and England, England and Ireland, Helsinki and Talinn, Sicily and Malta, and around the Greek Islands. Most of the ferries that I’ve investigated allow dogs on board for a small fee. If you are travelling with a car, they are often expected to stay in the car. If you are a foot passenger, you will generally need to leave them in a special area on the car deck or on the outside deck, or occasionally they are allowed in the cabin if they are in a carrier, such as on this ferry between Scotland and Belfast. The main exception to this are the channel ferries connecting France/Belgium/Netherlands and England. The majority of the ferries do not allow foot passengers to take dogs, including all ferries on the shortest route between Calais and Dover. During my investigations, I only found these two ferries that allow foot passengers to take dogs. Additionally, I have since learnt about a ferry between Newcastle and the Netherlands that has dog-friendly cabin berths! Generally, most local trains, metros and trams in Europe allow dogs, but don’t assume this is always the case. For instance, Madrid only started allowing dogs that weren’t in a container on their metro in mid-2016, with the restrictions that they must travel in the rear carriage and are not permitted during peak hour. Buses are not as likely to allow dogs, other than small dogs in a container, but larger dogs are also permitted in many places. As well as variable rules as to whether dogs are allowed on local transport, they are also variations on whether dogs require a ticket. Most of the time, small dogs in a container ride free. However, for larger dogs, sometimes they ride free, sometimes they require a child’s (half-price) ticket or sometimes there is a special dog ticket. For instance, in Berlin dogs require a half-price ticket, unless you have purchased a day ticket, in which case you can bring along one dog for free. Keep in mind that rules and ticketing will vary not just from country to country, but from city to city and region to region. Often the signage about rules and tickets is only in the local language, or not easy to find. Try and Google the local public transport website in advance, although often it will only be in the local language. But it’s easier to translate it if you don’t have a bus arriving any minute! Alternatively, if I’ve been unsure I’ve usually carried my small dog in a carrier bag (and not bought a ticket) or just bought him a half-price ticket to be covered. Most of the time on local transport, dogs must be on a leash and wear a muzzle, unless they are travelling in a container. Often there is a sign at the door or inside showing a dog wearing a muzzle. (Next to the signs stating no eating food.) However, most locals will inform you that wearing of muzzles, at least on smaller dogs, is not always enforced. Always be ready though. Enjoying the view from the top of the car – only while stopped! In many ways the easiest form of transport when travelling in Europe with a dog is to hire your own car. There’s no need to worry about timetables or tickets, your dog will often be more comfortable in its own “territory” and if the weather is mild it’s possible to leave your dog inside for short periods of time, to duck into a shop or have lunch. (Just be very careful, and never leave dogs in a car in warmer or hot weather.) 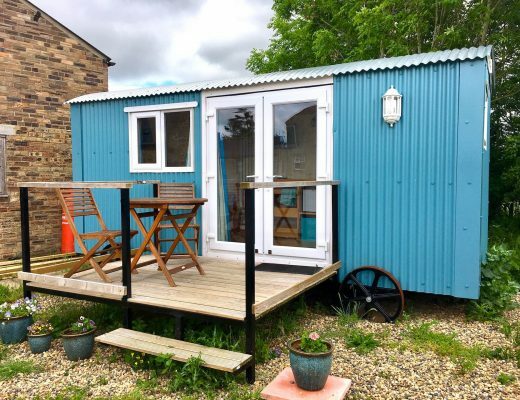 Another positive benefit is that you can be more flexible with where you are staying, with cheaper Airbnbs in the suburbs or countryside hotels being accessible. On the other hand, many city centres in Europe have limited or expensive parking, and may even restrict access to non-local vehicles. The majority of hire cars allow dogs inside, although you may want to double check in advance, especially if you are picking up the car with your dog. However, be considerate and always put a bed or blanket underneath your dog on the seat, always clean them off before allowing them inside, and attach them securely with a seat-belt harness or similar. Click here to read more tips on road tripping with your dog. One other consideration specific to Europe to keep in mind is not all hire cars can cross borders. If you are wanting to take a car into another country, check with the hire car company first. (Or make a booking that can be cancelled for free, then check.) The hire car may be allowed to cross into certain countries, but not others. In particular, cars hired in the EU often cannot be taken into non-EU countries. Additionally, one-way hires where a car is picked up in one country and dropped off in another are usually not allowed. And if they are allowed, a ludicrously expensive one-way fee is always charged, so it is best avoided. One-way hires within the same country are more likely to be allowed and less likely to charge a fee or a reasonable fee. 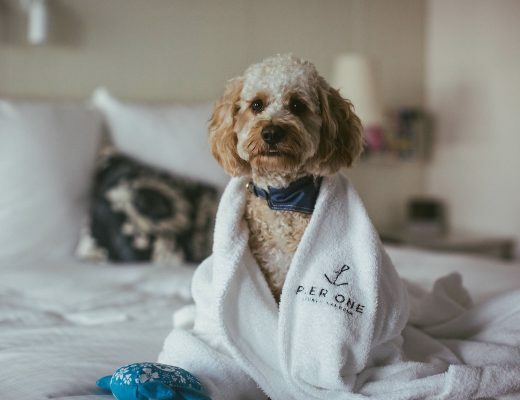 Compared to most other parts of the world, there’s generally plenty of dog-friendly accomodation options in most parts of Europe, whether you’re looking to stay in a hotel or an Airbnb. However, the percentage of dog-friendly options does vary between locations and I’ve never yet come across a destination where ticking the “pets allowed” box didn’t eliminate some of the options. I recently researched how many hotels in different European cities allow pets, and found that the percentage ranged from 84% in Helsinki (closely followed by Zurich and Berlin) to a tiny 4% of hotels in Dublin (with Lisbon and London also performing poorly). If you’re travelling to a destination with not many dog-friendly options, it’s always best to at least research your accommodation options in advance. If the pickings for dog-friendly accommodation are slim, book now rather than risk leaving it to later and having nowhere with vacancies that’ll accept dogs. But if most hotels allow dogs, it’s fine to leave it to later, if you prefer. Here are my dog-friendly accommodation recommendations for Spain and France. Yes, this restaurant certainly was dog-friendly! 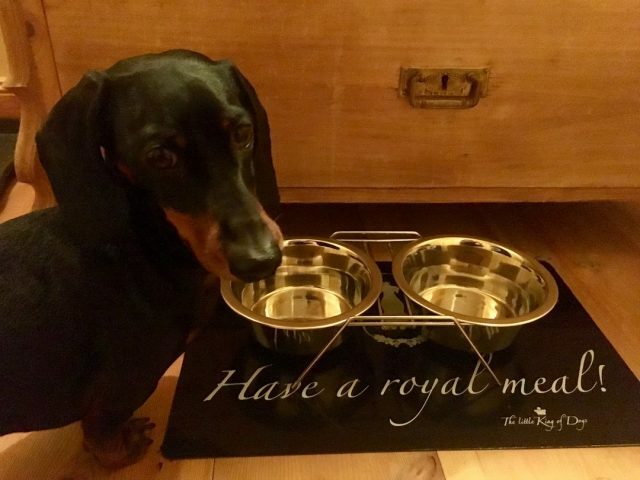 Seen photos of people dining in restaurants with their dog at their side? While this is certainly the case in some European countries, it is not the case everywhere. Andorra – We only briefly visited, so I’m not sure. Bulgaria – It’s not the local custom, although it’s worthwhile asking. If dining outside, beware of cats. Denmark – It’s not common, but some restaurants allow dogs. As the owner of one restaurant told us, there’s not a law against it. Estonia – We found some restaurants that allowed dogs inside. Tallinn is probably the mot dog-friendly. Finland – It’s not common, but some restaurants allow dogs. Greece – It didn’t seem the local custom, but when we asked at one place with no outdoor seating, we were allowed inside, but only at the front. Beware of cats when dining outside. Ireland – When we visited, dogs were not allowed inside, but the rules changed in December 2017, so I’ve heard there are some dog-friendly options now. Latvia – It’s not common, but some restaurants allow dogs. 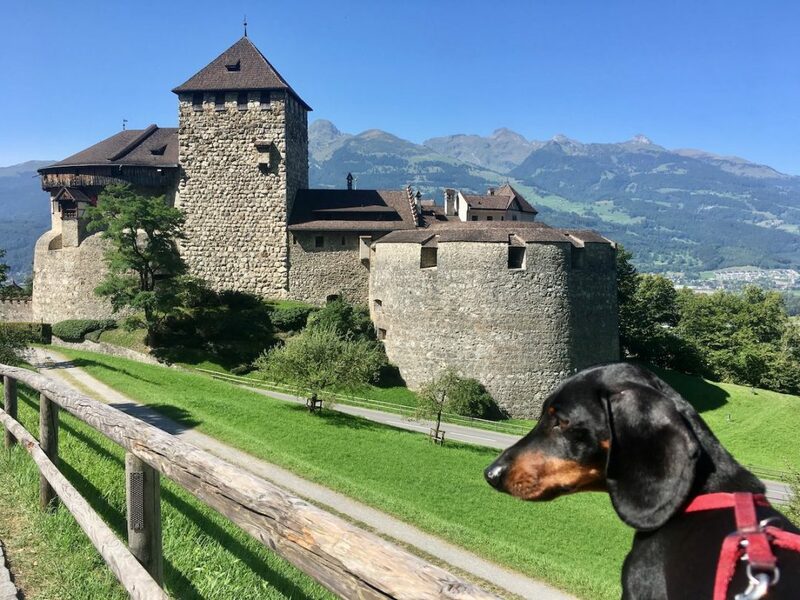 Liechtenstein – We only briefly visited, so I’m not sure, but dogs are likely allowed in most restaurants based on surrounding countries. Lithuania – It’s not common, but some restaurants allow dogs. Monaco – We only briefly visited, so I’m not sure, but dogs are likely allowed in most restaurants based on surrounding countries. Norway – We rarely dined out in Norway (as it’s not exactly affordable! ), but I believe that dogs are not usually allowed due to hygiene/allergy concerns. Poland – It’s not common, but some restaurants allow dogs. Portugal – When we visited, dogs were not allowed inside, but the rules changed in October 2017. Romania – It’s not the local custom, but when we asked, our dog was allowed inside a couple of restaurants. San Marino – We only briefly visited, so I’m not sure, but dogs are likely allowed in most restaurants based on surrounding countries. 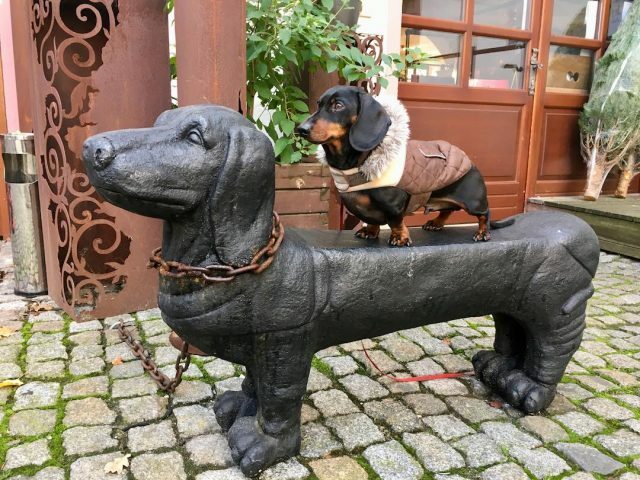 Slovakia – While some restaurants had no dog signs or turned us away, we found some dog-friendly restaurants, mainly in Bratislava. However, technically dogs aren’t allowed inside restaurants (or even on outside terraces). There was a recent vote to overturn this, but it wasn’t successful. 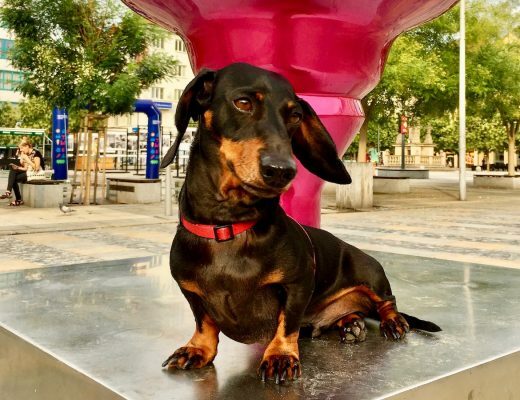 Spain – Most restaurants don’t allow dogs inside, but we found plenty of pintxos bars in the Basque region were dog-friendly, plus there’s a scattering of restaurants elsewhere that allow dogs, especially in Barcelona. Alternatively, dine at the plentiful outdoor terraces. 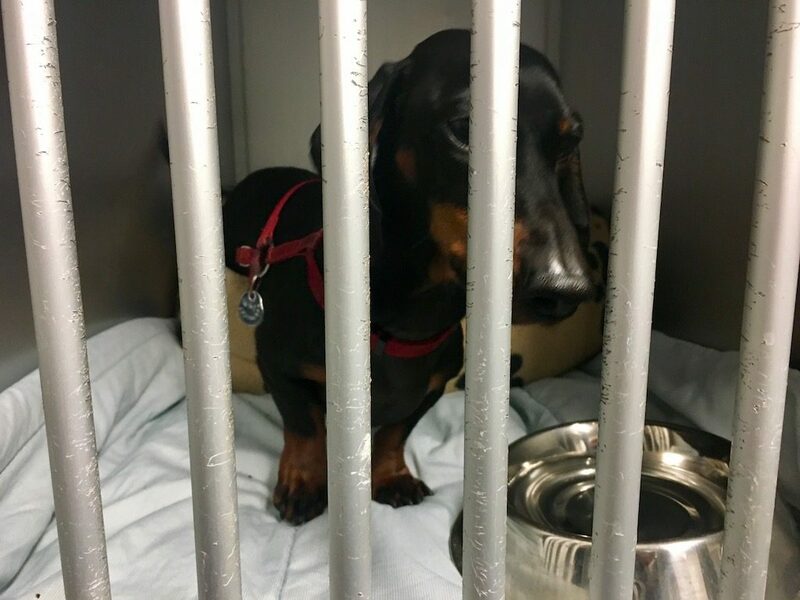 Sweden – Whenever we asked dogs were not allowed inside, due to allergy concerns, but there may be a few rare restaurants that allow dogs. My Airbnb host in Gothenburg mentioned a cafe that allowed dogs, but due to the sunny, warm day we dined at their outside area and forgot to confirm. United Kingdom – Many pubs allow dogs, at least in the less formal areas, plus some cafes and restaurants allow dogs. We found Northern Ireland to be less dog-friendly. As an example, while Germany is generally dog-friendly, dogs are never allowed in their wonderful bakeries, which are often combined with a cafe and the best place to have a quick coffee. The same also applied at many kebab shops and unfortunately both burger restaurants we tried to visit in a row in the western city of Trier! If dogs aren’t allowed inside (or you don’t want to bother checking), many restaurants offer outdoor terraces, especially in the summer time, which are usually always dog friendly. If the weather’s not ideal for outdoor dining and dogs aren’t allowed inside, try to book an Airbnb or hotel room with a kitchen. Otherwise, there’s always takeaway. Taking your dog sight-seeing is the trickier part of vacationing in Europe. 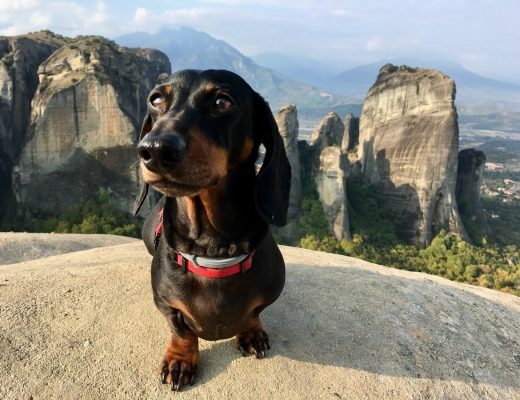 Yes, dogs are fine to join you in wandering around old cities and are allowed on most hikes in national parks. However, if you’re entering inside churches, museums and palaces, dogs are almost never allowed. If you really want to visit somewhere that doesn’t allow dogs, there are ways around it. My husband and I have sometimes alternated going outside, the other one staying in a dog-friendly cafe with our dog. Other times, especially if we’re staying somewhere for awhile, we’ve had suitable accommodation where our dog could be left along for up to half a day. Another option is to also look for dog sitting services, although I haven’t yet tried that. France – Should I Visit Mont-Saint-Michel with My Dog? Italy – Should I Visit Venice with My Dog? Very useful thank you. Travelling from Uk to Croatia this May, June and July in our motorhome with our rescue dog Jake, grateful especially for tips on Croatia and Slovenia. We’ll be crossing through Bosnia Herzegovina too so will let you know any good dog places. Thanks Julie, that’s great to hear. 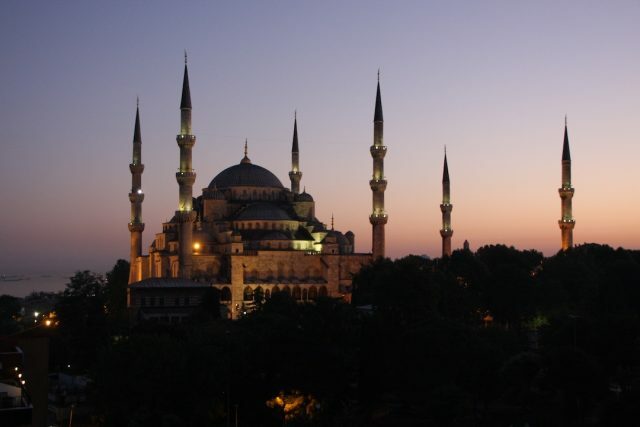 Have a wonderful trip and would love to hear about Bosnia! You can add the NL to your list of countries where dogs are allowed in restaurants. We’ve been living here 13+ years and while there are increasingly more not allowing them in, the majority still do. Use your judgement…Michelin star, no – more casual, yes. We’re retiring in a couple of years & hitting the road with our two so will be checking out your site for info on travel/living. We take them on a week long doggy holiday every year (8 countries & 1 principality so far) but know the next phase will be very different. Thanks Sheila, that’s great to know! We visited the Netherlands in the middle of summer and just ate in outside areas, so wasn’t completely sure. That’s great to hear about our upcoming travel plans – have a wonderful time! Hello from Western Australia Shandos and Schnitzel! Thank you for the great information. My husband hails from Brno, Czech Republic and as I am an Aussie, I was surprised when I first went to CZ to see so many dogs wearing muzzles whilst out and about. Can you tell me what the general European laws are for dogs wearing muzzles in public and which countries enforce this rule? Hubby told me that if a dog is taken on any public tram, they must wear a muzzle, but I have also seen them walking around the streets wearing them. Apparently there are huge fines and possible imprisonment if a dog is allowed to cause injury in CZ. Thanks for commenting! I’m not aware of any rules for dogs needing to wear muzzles when in public in Europe, except for dangerous breed dogs, with the details of this changing from country to country. Dogs are usually required to be on a leash though within most cities. I’ve definitely seen rules for dogs needing to wear a muzzle on public transport (about 40% of the time), sometimes all dogs or sometimes just larger dogs. Personally, I’ve only once put a muzzle on my small dog on a metro train (in Milan). Generally this rule isn’t enforced, so these days I just always make sure to have the muzzle in my handbag. Many other dog owners in Europe recommend the same. If the rules are harsh about dogs causing injury, I can understand people putting a muzzle on their dog to prevent the possibility, even without a rule. I didn’t notice many dogs with muzzles when I visited the Czech Republic last year, but was only briefly in the country, and will have to look out when I return this July. Lovely post, I enjoyed reading it, also loved your pictures. As I have lived in Trier, I am curious to know which burger places did not allowed you to go with the dog. Also, I am now preparing an article for a newspaper, about what plans can you do with your dog around Europa and and was looking for ideas, so if you don’t mind I will use some of your tips and information you shared. If you wish I can mention your name and blog and if you are interested we can also publish some of your picture. Doroteya – I’m not 100% sure, but I think it was Burgeramt and Burger House. It wasn’t surprising at the former, as it is quite small. Unfortunately for us, it was a December day with a top temperature of about 1C, so sitting outside was out of the question. I would be happy for you to share my information and tips in your newspaper article. Of course I would appreciate a mention of my blog, if possible with a link if the article is published online. I would prefer for my photos not to be republished. When it’s live, send me the link to travelnuity@gmail.com. I am from the Czech Republic and I will try to answer your question. 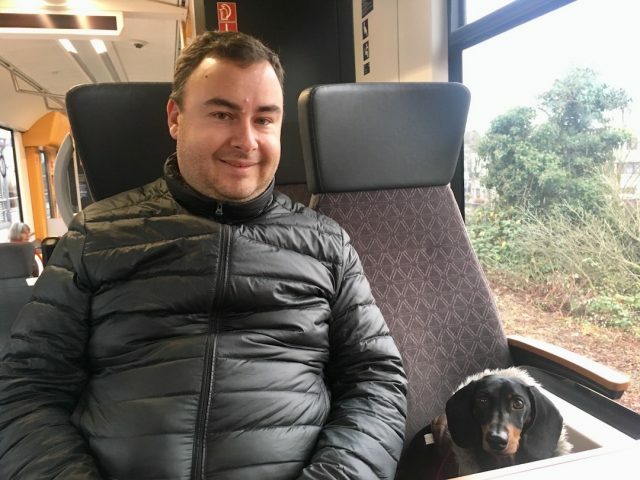 The Czech public transport rules generally say that you are allowed to travel with dog only while having him in the transport box (for small breeds) or the dog has to have the muzzle (usually larger breeds). Unfortunately, many people do not follow the rules and it depends on if the ticket inspector caught you (or the driver will not let you in). The dog should be on a leash in the streets and also in National Parks, protected landscape areas and in the forests (because of the hunting). The muzzle is not obligatory but many people use it anyway, just in case (it is not a shame)… For example, I use muzzle every time my dog (large breed) is not on the leash although he never attack anyone and is not a “dangerous breed”. We often travel to Austria and the dog has to be on a leash almost all the time (also on the meadows because of the possibility of grazing contamination or frightening the cattle) but again we saw many people with dog unleashed although there were signs to not to do it. Thanks so much for sharing Jana! We are looking forward to a 3 month Europe visit this year with our Norwich terrier ‘Todi’. 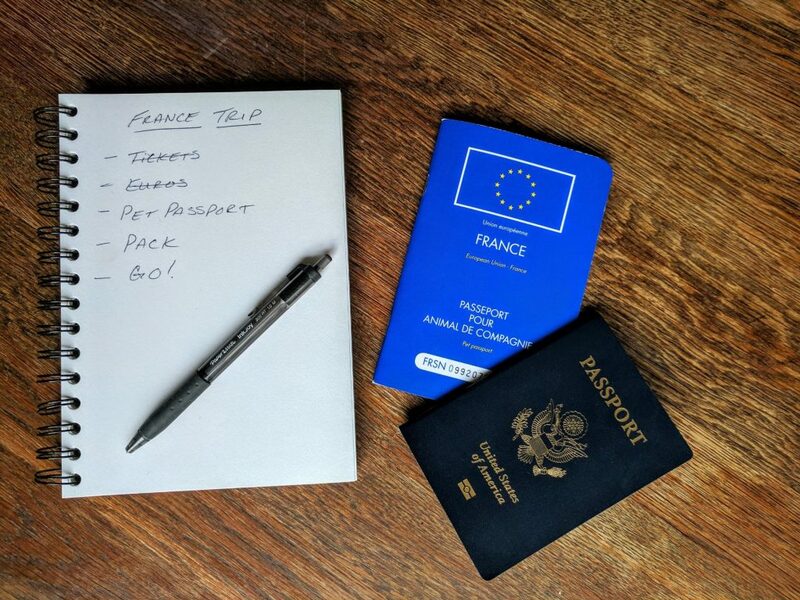 Everything seems to be in order as far as entering Europe – Todi will be traveling on a Dutch passport! The only thing that seems unclear is returning to the US after 3 months. It seems that the only requirement for re-entering the US is proof of Rabies vaccination and that a health certificate from Europe is only required by the Airline. Does this agree with your experience on return to the US? By the way, one of our destinations will be Todi, Italy so our friends there can meet the little guy named after their town. That’s so cool that you’re visiting the town he’s named after! And Italy is such a dog-friendly part of Europe. I’m pretty sure the proof of rabies vaccination and health certificate is all you require to return to the US. I’m actually from Australia, but will be flying from Europe to the US for the first time at the end of the year. The USDA has a Pet Travel hotline: 1800 545 USDA, which should be able to confirm. Hi there! I am from Australia too and have been trying to find out if we can take our dog in cabin from Australia to anywhere in the EU or anywhere else? I know Air France allow dogs in cabin and they fly from Australia. I understand we wouldn’t be able to have the dog in cabin when returning to Australia but what about having the dog in cabin leaving Australia? Who did you fly with from Australia to Spain? How was your experience and how was your dog once you landed? Danielle – Unfortunately dogs aren’t allowed in the cabin when leaving Australia, as well as when flying back to Australia. (In fact, in Australia at all, except for guide dogs.) When we travelled to Madrid, we flew with Qantas then Emirates via Dubai. We were very new to travelling with dogs, so we had everything organised through Jetpets. I’ve written about it here: https://travelnuity.com/jetpets-review/. Schnitzel was fine at the other end, although very happy to see us and needing to pee! Any suggestions for finding boarding kennels or pet sitters in Europe? Jan – I’ve personally pet sat a few times while travelling in Europe. 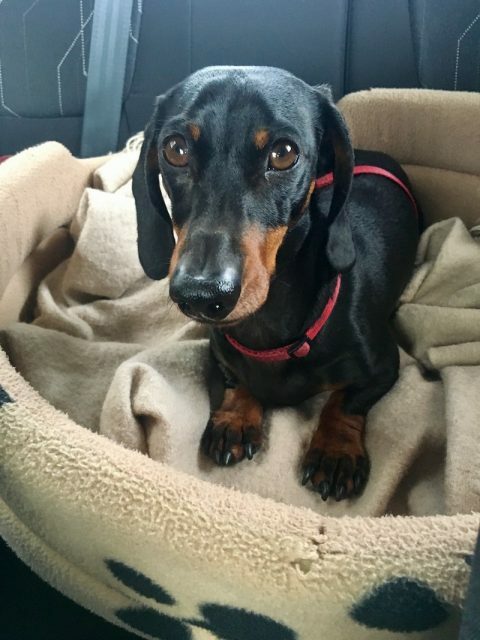 We organised our pet sits through https://www.trustedhousesitters.com/. As the pet (and house) owner, I recommend advertising well in advance and organising a Skype session with potential sitters. For short term pet sitting, including where you are travelling and need to leave your pet elsewhere, we’ve only done this once, when luckily our Airbnb host also offered pet sitting. 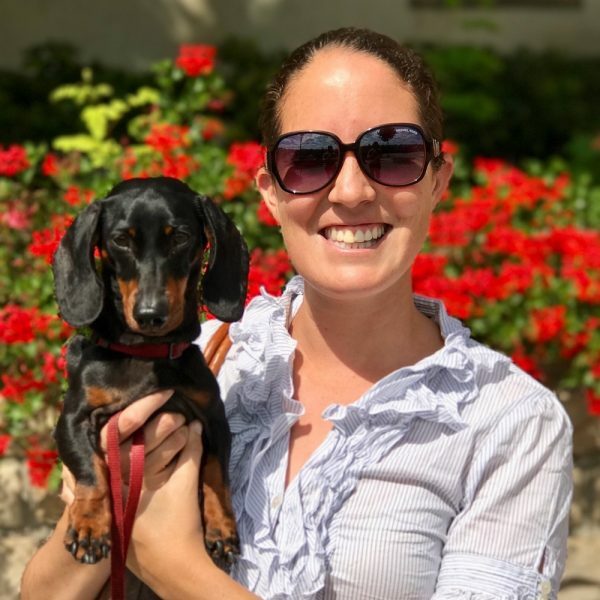 While travelling through Germany we thought we’d need a pet sitter and looked into Pawshake (https://en.pawshake.de, with different URLs for multiple countries where it operates). It’s like Airbnb but with pet sitters. However, it seemed like most sitters were expecting to organise ongoing pet sits, with an introductory meet-up beforehand. Not a one-off pet sit, which was all we required. (We ended up finding a workaround.) If you just require a pet sitter for the day, I recommend contacting individual sitters to see if they would be okay with that. When it comes to boarding kennels, I don’t have any experience. If you Google you should find some options, otherwise look for Facebook expat groups for the city and ask for recommendations. What a wonderful guide – very useful. We have just entered Romania with our four Cavapoos and can find no information about anything much dog-friendly in Romania! Obviously, we have common sense, however any advice is welcome – particularly regarding walking, bears and wild dogs! Jackie – We’re actually flying to Romania on Monday, so if you were a few weeks later, I’d have some recommendations! So far we’ve just found it more difficult to find accommodation. I doubt that bears are much of a risk, but I’d be careful with stray dogs. Hi! What a lovely blog! … finally some real information haha. Im from Western Australia, and i have been looking into moving internationally with my australian shephard for maybe 2-3 years. Would i be able to ask whether you have looking into how hard it will be to bring your pup back into Aus from the EU? I think thats what i am most worried about ! Thanks Sera! That’a a great question, that you should definitely consider. I’m currently in the process of organising to fly my dog back to Australia, arriving in early December. In a couple of months I’ll definitely have a better idea! There are two difficulties with the process: the number of vet visits required (3 in the 1-2 months before flying back, assuming you already have a rabies titre test result) and cost. I’m reducing the cost by organising things myself, without a pet transport company, plus travelling home from the USA, as there’s direct flights from LA and I can book directly with Qantas. However, it’ll still be nearly $5000 AUD, with quarantine being the single biggest cost. Travelling from Europe with a pet transport company, I’ve heard amounts of $8000-$10000. I’ll be sharing all the details in a couple of months. For now, my big recommendation is to get the rabies titre test before leaving, which is then valid for up to 2 years with the Australian authorities. If you get it overseas, there’s a wait of multiple months before your dog can fly back to Australia. Plus as mine was done in Australia I didn’t need it certified by the export country government vet to apply for the pet import permit. Wishing you all the best and lots of adventures! First, if all your dog is so cute and that’s very much impressive you aren’t leaving your pets anywhere and taking them with you traveling with the dog, that’s really cute. also blogging how to manage. thanks for the wonderful information. Thanks Monica! Best wishes with your travel! What a wonderfully extensive guide! Very thoughtful post. You mentioned some valid points and the way of your writing is excellent. Pets are an important part of the family. I love this complete guide to traveling with a dog on vacation. However, I will certainly dig it and personally suggest to my friends. I’m sure they’ll be benefited from this website. Thanks for your help! I’m so happy to have found this post and blog! My husband and I are planning to start traveling with our dog but it seems so overwhelming to get everything in order. It’s such a relief to read about someone who is doing it, thank you! Best of luck with your travels, and glad I could help! We also thought the same heading around the world to Europe with our dog, and weren’t sure if we’d charge our mind and head back home. But once you make the original preparations and get started, it gets so much easier. I am curious if you could tell me more about your time in Madrid. Did you go out with your pup or would you leave him in the hotel? And for restaurants are there any that you recommend? Sorry, but I can’t help you much with restaurants as we didn’t spend long in Madrid and mainly cooked in our Airbnb apartment, except for one local restaurant with a terrace. (Most restaurants in Spain don’t allow dogs inside, but the weather is usually good enough to dine on the outdoor terrace.) We left our pup behind one day to head to the Prado gallery – it’s magnificent and we spent most of the day there. But if we’re heading somewhere without our pup we prefer to have an Airbnb apartment, and make sure he is comfortable first. We stayed one night in Madrid in a hotel but had a of noise from people walking past, so would have never left him there. You are amazing. Thank you for such an inspiring, well organized post! Thank you so much Christina, your kind words mean so much! my dog, a Minature Pinscher, just a barked a big thank you. We will be travelling by car from Rome to the UK and back sometime in the late summer. Plenty of time to organise the trip. I was worrying about the Chunnel from Calais and found there is no need. 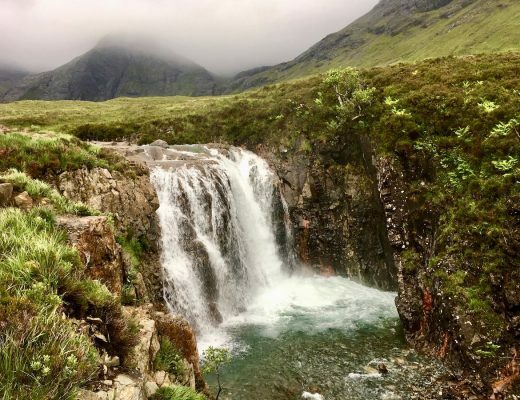 Peter – Thanks so much and wishing you a wonderful trip! This blog is amazing. Thank you so much for the great inspiration!!. Actually I am planning on staying at Poland for several months this year and I was really hoping to take my dog along. But I had very limited information how dog friendly it is around there (Airbnb, other accomodation, restaurants. etc). I know you mentioned that eating out with a pet is not common but there are some availabilities. Can you let me know in more details how it is like in Poland with pets? Thank you ! 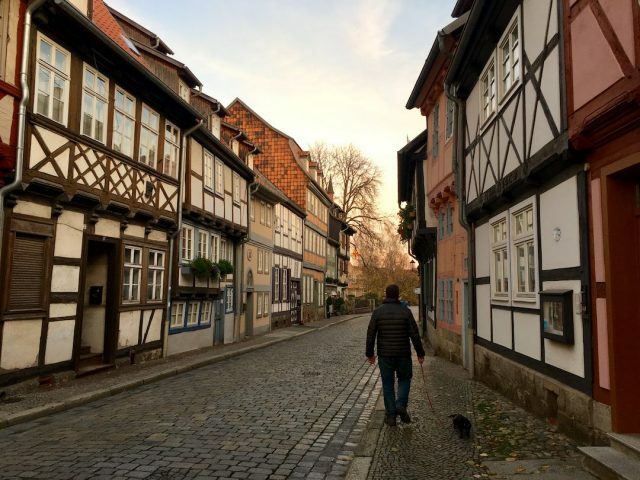 Stephanie – We visited twice and while it isn’t as dog-friendly as say Germany, it’s still doable. We found a comparable amount of dog-friendly accommodation to most other European countries, staying in mainly Airbnbs and guest houses. One frustration was our dog wasn’t allowed even in the grounds of Krakov Castle. But Marlbork Castle allows dogs in the outer grounds. I’ll be writing more in a blog post soon, hopefully.